BTS is reported to be the first K-Pop artist ever to perform at Wembley Stadium, a place that is renowned for a British soccer field. Today on the 20th, BigHit Entertainment unveiled BTS's plan for 2019 world tour, BTS WORLD TOUR 'LOVE YOURSELF: SPEAK YOURSELF. The tour is going to take place in 8 cities in 5 countries including United States, Brazil, and England. 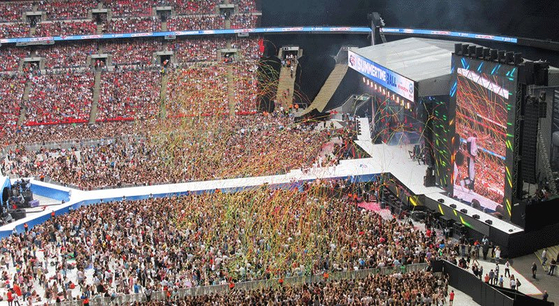 What caught fans' eyes was the fact that Wembley Stadium is one of the venues for the tour. The stadium is known to be extensive enough to accommodate up to 90 thousand audiences. What's more astonishing is the fact that the venue has 2618 bathrooms, which is as many as the concert hall that BTS had their first concert at could hold up to. The Wembley Stadium is well-known for a venue that internationally famous musicians such as Queen, The Beatles, Michael Jackson, Elton John, ABBA, Rolling Stones and more had their concerts at in the past. 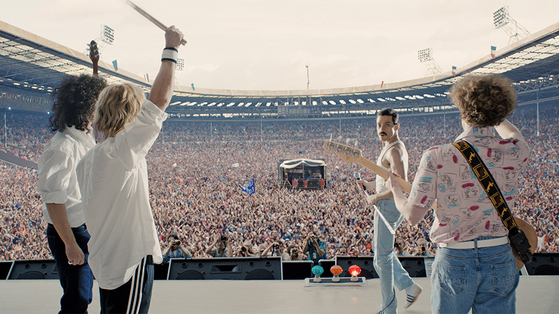 What's more, the place where Live Aid from the movie Bohemian Rhapsody was held is the stadium where BTS is going to have a concert at. From 2007, when the stadium re-opened, Muse, Ed Sheeran, Beyonce and more of top musicians also had their shows there. Not just by the fact that it has such symbolic significance in K-Pop history, how BTS used to be before they became huge is what makes fans more touched by the group's insane success. Back in the day when BTS was preparing for their show at Olympic Hall that is able to hold up to 3-4000 people, BTS members walked around the venue being startled at how big the hall is, which is only one third the scale of the concert hall of their upcoming tour. After a few years, BTS had another concert at Makuhari Messe in Japan. Jungkook was taken aback at how spacious the place is. 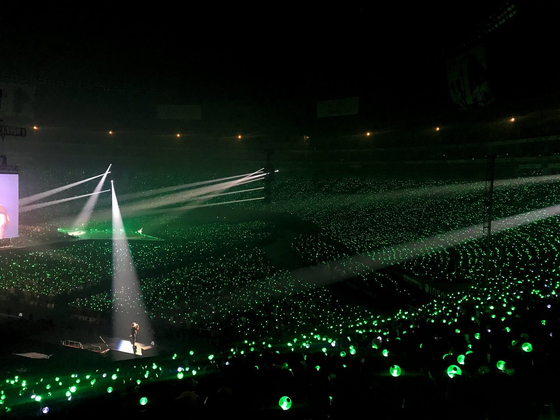 Now, it's mind boggling that they are performing at a venue that can accommodate 15 times more fans than the one that surprised Jungkook in Japan. 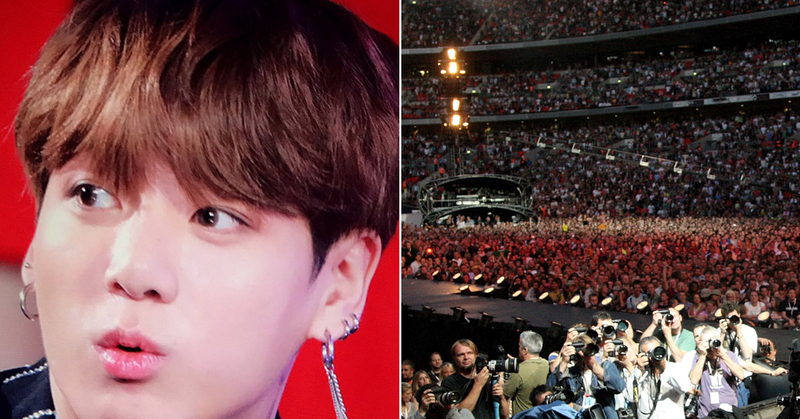 As it is an extraordinary event in K-Pop history, the Korean boy band's unprecedented accomplishment is making head lines in a number of British media. Now that every step the 7 boys are taking is becoming a worldwide issue and a new record every time, how farther they will make it is unimaginable.